Cannot get Desktop to Power on! For the Power Switch im not sure which side it needs to go in! what case do you have? I've never seen a case with other than single or 2 pin connectors ? 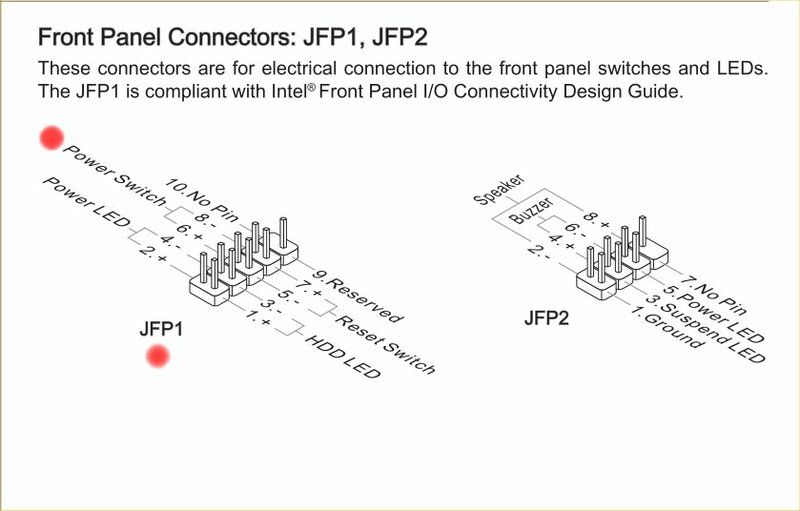 Maybe put the power LED on JFP2, pins 1, 3, and 5 ....then ?